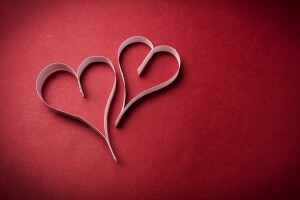 We’re just weeks away from Valentine’s Day, a time when many of us want to look and feel our best for the one we love. One way of achieving that goal is with cosmetic dentistry. How your smile looks can have a significant impact on your sense of confidence. It can even affect how others think about you. Each one of these services is effective, but not every one of them is right for every patient. If you’re looking for a way to enhance your smile in time for Valentine’s Day, let Dr. Salivonchik talk to you about which one would help you the most. During your consultation, we’ll talk about your goals and your budget. Knowing both will help Dr. Salivonchik create the best possible plan for you. Valentine’s Day will be here before you know it. If you’re ready to begin your smile transformation, call our Coplay dental office today. We’re committed to creating healthy, beautiful smiles to our patients from Coplay, Lehigh Valley, Allentown, Bethlehem, Easton, The Poconos, and surrounding areas. Look your best this Valentine’s Day with a cosmetic dentistry service from Dr. Salivonchik.